Thought of sharing with you a DIY project. Rose petals : Fresh rose petals are an important ingredient in many skin products. Balances, purifies and tones the skin, gives a cooling sensation to the skin. It also helps to maintain moisture balance of facial skin and it smells heavenly. Glycerin: prevents dryness of skin. Mint Leaves: Helps to deal with skin irritation and acts as a coolant. Eucalyptus oil : has anti-bacterial properties. Boil water and pour it in a container. 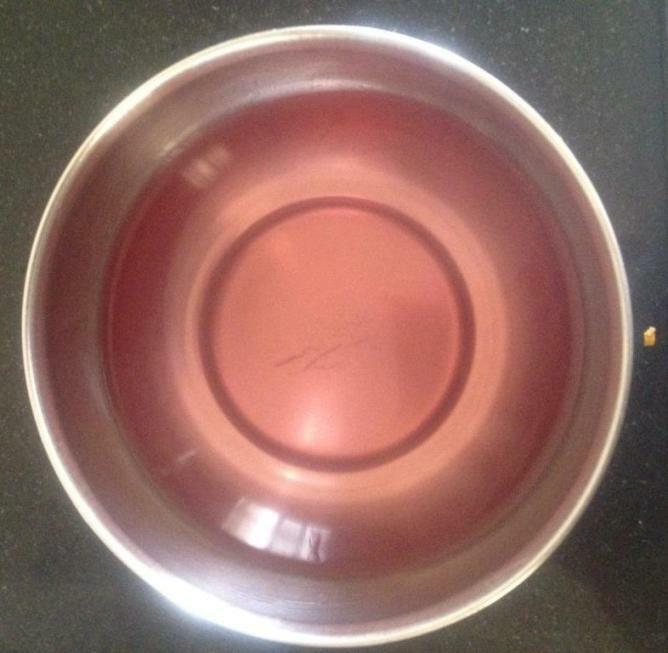 Add Rose petals and Mint leaves to this hot water and cover it with lid and let it sit for about 30 mins. 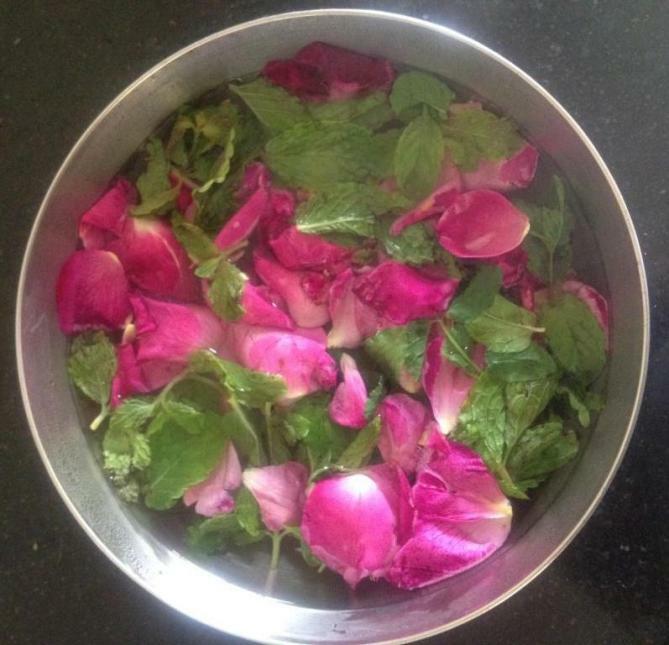 After 30 mins, strain out the water to remove the rose petals and mint leaves. You would get a concoction of slightly pinkish shade . This would be the base of our facial mist. 4. Let the concoction cool down completely to room temperature and then add a few drops of eucalyptus oil and stir the mixture. *You can add other essential oils as per your choice. Like Rosewood, Lavender oil. Hold the bottle a little away from your face and just spray it on your face and wipe off with a cotton ball and instantly you will feel refreshed . You can even leave it on for some time and let it soak in or dry on its own. 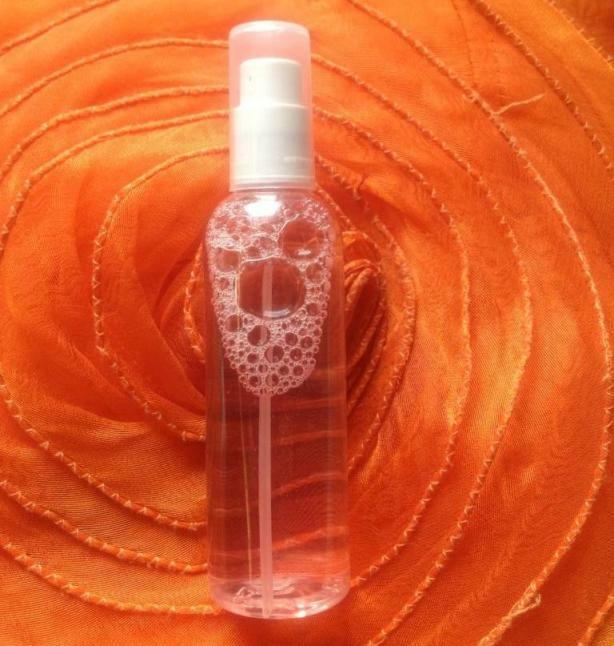 You can use this facial spray a couple of times during the day when your face needs moisture. You will instantly feel refreshed, energized and cool. The essential oils give a soothing aroma which lingers on for quite some time. The best part is that is very easy to make and store. The ingredients used are readily available and do not harm your skin in any way as they are all natural. You can also use it for spraying on cotton pads and using as eye patches to relax your eyes. This will be good for your dark circles as well. Since it is so easy to make, you can make it once a week and store for the entire week. Trust me, once you spray it on, you will realize how simple ingredients can give your skin that much needed boost of hydration . So, go ahead ladies, spray on and rejuvenate your senses !